“I had to teach myself how to use a light board before it was Google-able,” lighting designer Kevin Landesman tells me as he hits keystrokes on the light board during tech for Beautiful Oops!, a new musical based on the hit children’s book. His programing seems effortless, and a long way from where he started as a high school volunteer designing his class’ production of Dracula. After that first show, he became the go-to electrics expert in his drama department. With zero debt and a greater knowledge of equipment, Kevin moved to the Bay Area, taking every job that came his way. 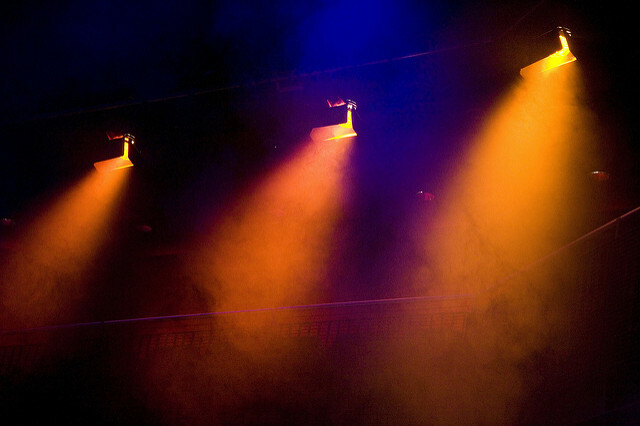 “I worked as an electrician in a bunch of small theaters and corporate events. I was only there 6 months before I got my first full-time job with a theatre.” Designing graduate student shows, Kevin left his full time job after a year to pursue design full time. “The barrier to entry in this industry is surprisingly lower than you think.” But, it’s a lifestyle that comes with trade-offs. 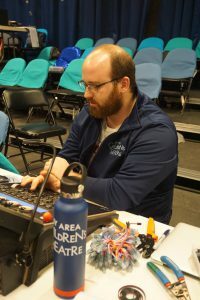 Kevin designs several shows at once, sitting in tech week after week with a schedule that doesn’t leave room for much else. He uses any downtime to recharge, and his months without work for home projects and travel, spending his free time hiking, seeing plays, and preparing for productions months down the road. It isn’t a lifestyle for everyone. “When you work in theatre you get to sit down in a room of wonderful creative people and talk about the details of a production with a shared level of excitement,” Kevin’s eyes light up, and it’s clear he wouldn’t trade this lifestyle for anything.